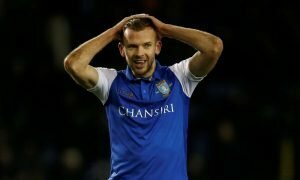 This £4.5m-rated star could really cost Aston Villa promotion this season | The Transfer Tavern | News, breakdown and analysis on all things football! After talk of their finances dominated the summer, Aston Villa have got off to a very solid start to the Championship campaign, the Villains are unbeaten in their first five and sit fourth in the table currently. Villa have shown a real battle and steel so far in their season. Equalising in the last minute to Brentford to salvage a point shows the resolve and never-say-die spirit that exists in the camp of the Birmingham-based club. They possess quality all over the pitch, and surely the target for this season has to be to return to the promised land of the Premier League, which the club played in uninterrupted for so many years. One major piece of business for the club over summer was holding on to key asset Jack Grealish despite heavy interest from Tottenham Hotspur. The Midlands outfit and Spurs battled over the price of the midfield talent all summer, and the price put on his shoulders by the Villa hierarchy clearly did not mean Tottenham’s valuation of the player. Holding on to the player is huge for the Villa Park outfit. He is creative, a good dribbler, has a great pass and holds the ability to produce a fearsome shot. He dictates the play, and is hugely valuable to Steve Bruce. The reason the young Englishman, who is valued at £4.5m by Transfermarkt, could cost Aston Villa promotion is because he could still leave the club in January. The 22-year-old does seem to want to further his career elsewhere, and if he left in January he could deeply unsettle the balance of the side. 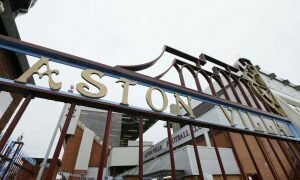 Villa fans will be desperately hoping they can hold on to their man during the next transfer window, as it could be the difference between promotion to the top-flight, and staying in the second tier.